Guest bathroom decor. 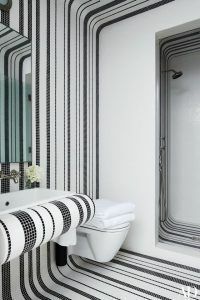 Why do we take this theme separately from the others and what is so special about this kind of bathroom? This question is pretty logical and to have an answer let’s first think how do we usually “see” the guests and analyze our kind of behavior while we meet them. Well, this won’t take long as most of the times we want to do just two things – to show how hospitable we are and to cover all the intimate details of our life. That why by decorating the guest bathroom we should pay our attention on the fact that it’s gonna be really comfortable for the guest so he want not just to visit you again and again, but also to tell all your friends about such an amazing bathroom decoration you have, but also we shouldn’t place there such things as the washing machine or your personal things so the guest doesn’t see more than he is allowed to see. 3 guest bathroom decor ideas. As always, the first thing you should think about after you decide to change the bathroom interior is the kind of style you want your guest bathroom interior to be. So here we will shortly talk about each of them to make your decision a bit easier as you still have lots of work to do. 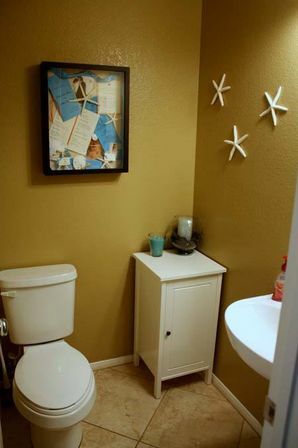 The modern variant of the guest bathroom interior decoration. 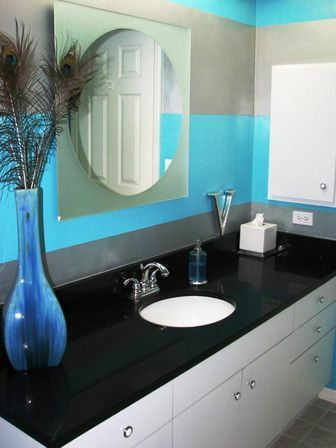 First of all you should carefully make the bathroom zoning to decorate this kind of bathroom. 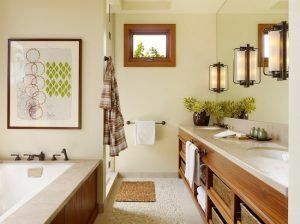 If your bathroom area isn’t that big and has a typical planning that you can establish the shortened bathroom contraction not towards the wall, but across. 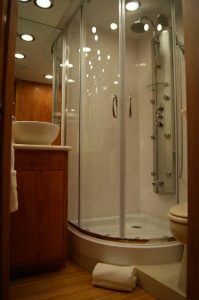 And if your bathroom territory like really super small that you can even replace the bath with the shower. The color gamma of the bathroom made in a modern style can be so different and you should choose the one you want being based on the lighting type you decided to establish. The sanitary engineering made in minimalistic style, for example, having the perfect rectangular form and a form of a big ship will accent the whole attention on it. The styles combination. You can get a really interesting bathroom interior design by using the characteristic style mix and one of them should be surely become a classical style (the cold, light color shades, moldings with relief. The shelfs and the wardrobe’s doors, same as the shower cabins, are usually mad from the strong and shockproof glass covering. 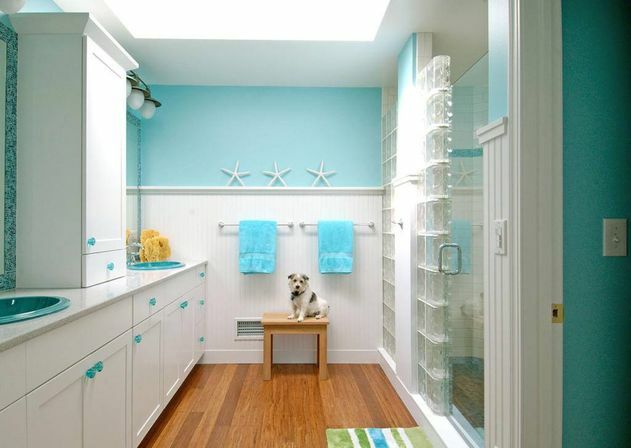 The using of this material will help to make the stylish, but easy model of the bathroom interior. 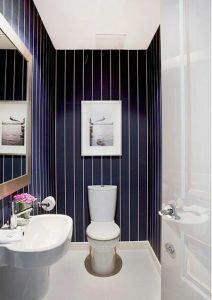 The ceiling bathroom design should be surely accented by the right establishing of the lighting fixtures. To have the best of it it’s better to use the lamps evenly placed on the whole bathroom ceiling, the backlighting that is hided from the eyes and even the regular bathroom fixtures. The bathroom made in antic style. 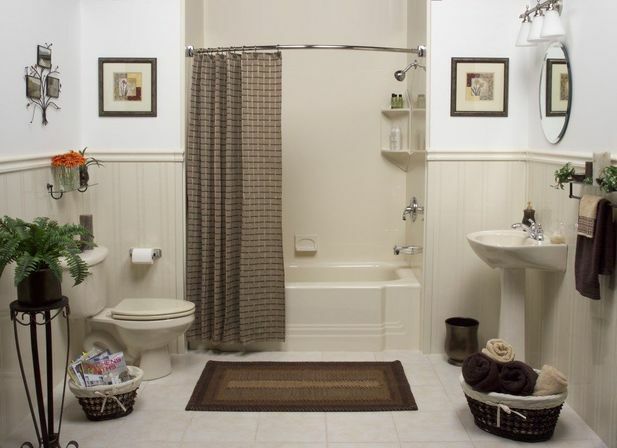 To make the bathroom design in antic style you should choose the really expensive materials and accessories. 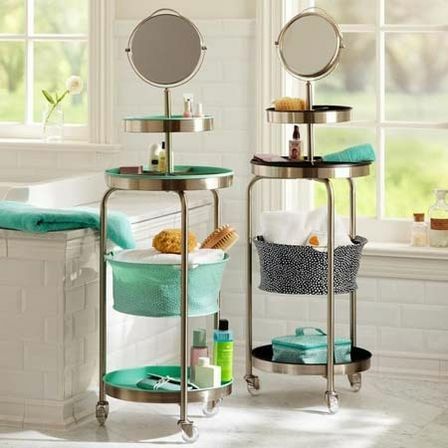 This style can find itself only in the bathrooms with the big area as the luxury bathroom decoration will look hilarious in the bathrooms with the small area where everything will be just pressing on the person. The bathroom furniture should be made only from the real wood and be decorated by the golden elements. It’s also necessary to complete the bathroom with the fitting sanitary engineering pieces such as sink made from marble, copper or fiancé that should be also covered by the hand-made paintings. The mixers should be made from crystals and the toilet should be definitely made in a vintage style. 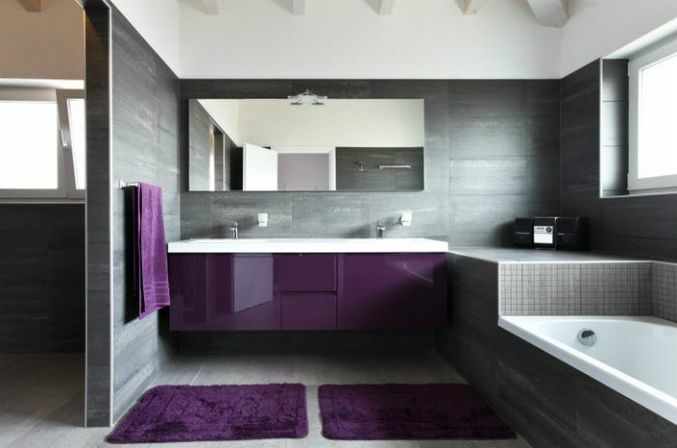 The whole bathroom decoration should be made from the natural materials such as stone, marble or rarely ceramic. That’s why the main color chosen for the bathroom decoration should be closer to the natural ones such as creamy, beige or brown. Also lets don’t forget about the classical tricks such as columns establishing, the crystal lighting fixture placement and the decoration made in molding form in Venezia style with the stained glasses. This pieces will perfectly fit the big area bathrooms. It’s also gonna look really unusual if you gonna make the mosaic background of the bath, which is gonna be one the main interior element and will surely make everyone pay their attention on it. While decorating the bathroom ceiling it’s really popular to stop the choice on the suspended ceiling which is pretty easy to take care of. The ceiling panels are the same functional, so you can also pay your attention on such variant. As we already told it’s not a good idea to place the washing machine in a guest bathroom and moreover it’s gonna look weird in such a gorgeous interior so you should definitely find bother place for it. 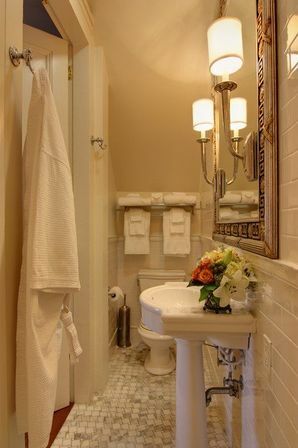 We talked really carefully about the last bathroom interior, but actually, what we can definitely say is that it doesn’t really matter what kind of designing interior you will choose as the main thing is that it has everything that the guest can need, it’s functional and will help your guest to relax and feel like home or even better.